To achieve customer satisfaction through on time delivery of; defect free, cost-competitive products. Our current Quality Policy is: One Team, One Goal to be a leading supplier of high quality unique custom sheet metal fabrication and machined products through continual improvement and customer satisfaction. Our Quality Policy is one which all of our employees are required to be familiar with since it is an essential element for our success. AS9100 as well as ISO 9001. Our welding program is accredited through NADCAP and meets the requirements of AWS D17.1, we are audited annually on site by some of our larger Government based customers to ensure we are meeting or exceeding their requirements. All Quality Inspection equipment and personal owned equipment used in production are traceable to National Institution of Standards and Technology (NIST). 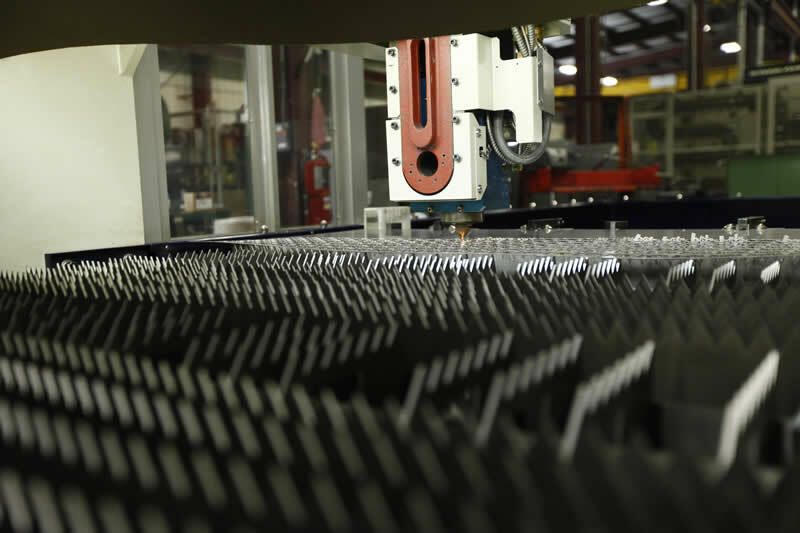 Tri-Angle Metal Fab has devoted personnel that monitor and maintain the equipment as outlined in our Quality Management System. Tri-Angle Metal Fab has determined a comprehensive and practical system to ensure all equipment is calibrated within set limits. The system contains all monitoring and measuring equipment and defines the process employed for calibration and verification. Also included are the type of equipment, unique identification, location, frequency of verification, verification method and acceptance criteria.